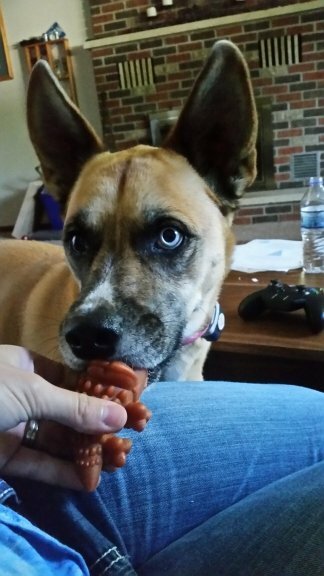 Does your doggy love treats, but you are unsure of the ingredients and safety of them!? We are always talking about healthy decisions for our families, including a bit of discussion about healthy dog foods! Our four-legged friends are also a part of our family, and as a general rule, just as with children, we want to really limit the amount of “treats” our children get! If we do offer treats, we make sure to give natural and healthy treats for dogs. How Many Treats Should You Give? Treats and snacks should really only take up a SMALL percentage of a dog’s diet, and should contain very few calories. 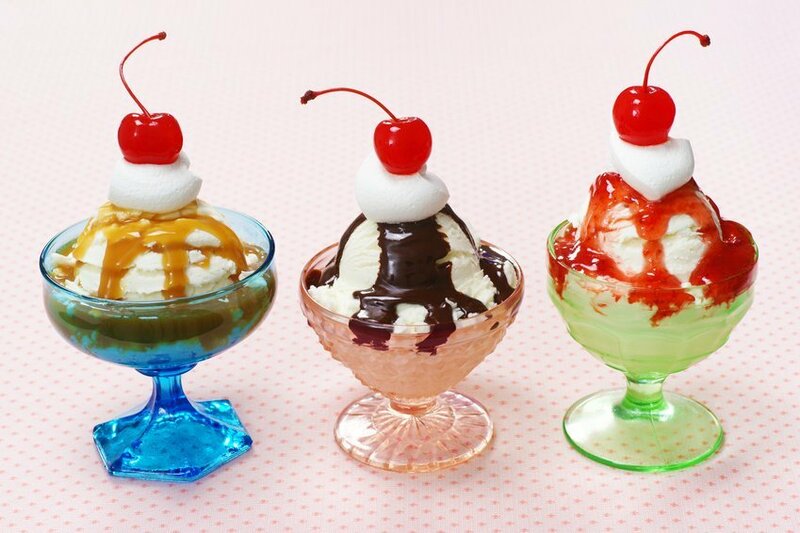 We also want to watch out for fillers, preservatives, dyes, and products that are high in sugars and fats. 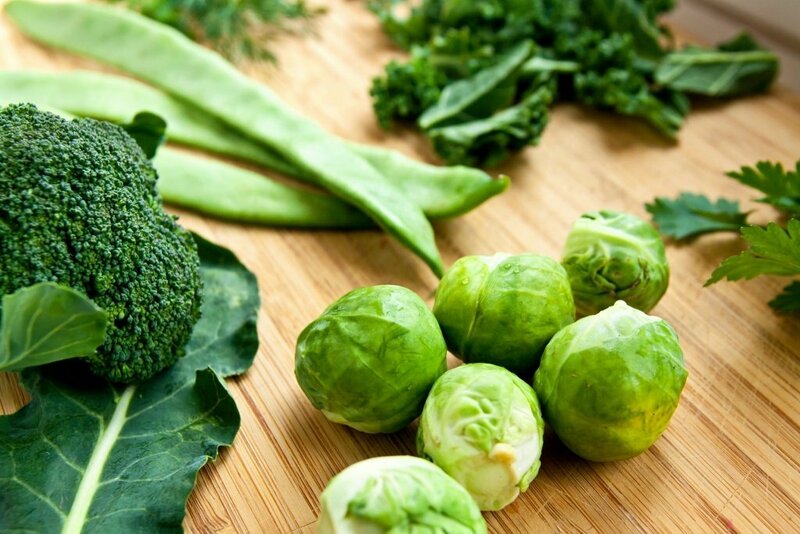 Your best bet would be to offer your pet some simple veggies and fruits (just like you would in a healthy human diet)! I completely get the temptation to spoil our pets, and we always make sure to grab a Whimzee’s when we check out at our local pet food supply store each month. My dogs love these, and I love the knowledge of knowing that Whimzee’s are safe and healthy! They are a back to the basics treat! 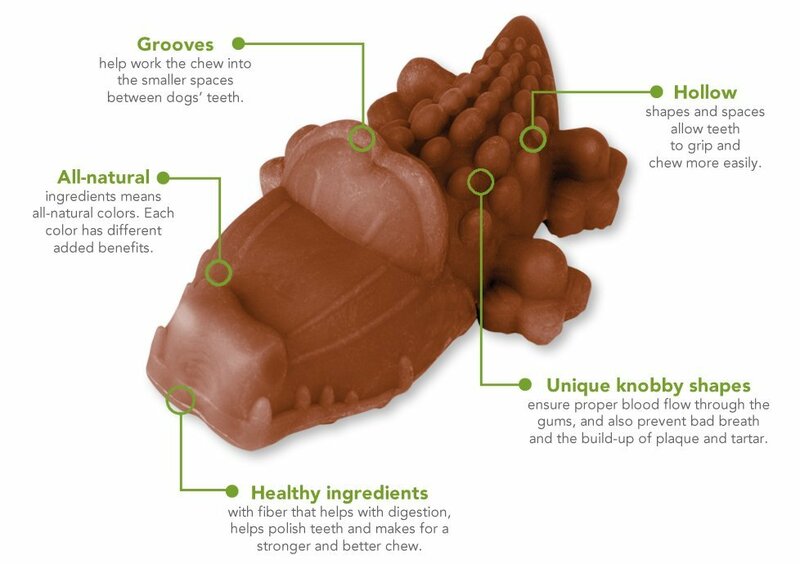 Whimzee’s limits the ingredients in their treats to be more practical, functional and healthy! You will find no artificial ingredients, no added colors, flavors, preservatives, nasty GMO’s, gluten or meat! Packed with fiber, and low in calories and sugars make it safe for your pet to eat daily! Simple, yet great natural and healthy treats for dogs. Whimzee’s includes all-natural colors from alfalfa extract that provides Vitamins K, C, and SIX B’s! Looking for a treat to help with tooth decay? 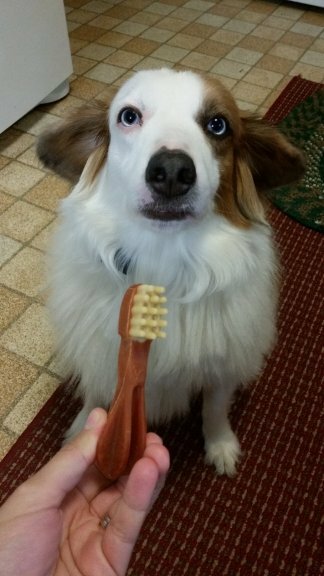 I told Watson it was time to brush his teeth. His expression says a million words! Luckily, for him, I was only kidding! I have this awesome little treat for him to help with his tooth decay! The Toothbrush XL, are humorously shaped as a toothbrush, but are packed with Calcium Carbonate to help tackle tooth decay and insure your pets bones stay strong and healthy! You will find benefits in all the unique shapes, though, as they help aid in proper blood flow to the gums and prevent bad breath and the build-up of tartar. Want to know more about Whimzee’s!? Check the out at your local pet food supplier or the links provided below! What types of natural and healthy treats for dogs do you offer your pets? Thank you, Whimzee’s for samples even though I purchase your product quite regularly so that I may write this review. Although I was compensated with some freebies, all opinions in this review are my own. NextThe Best Umbrella Strollers for Tall People? This is it!